Thank you for your interest in volunteering at Daily Bread Food Bank! We rely on the help of 10,000 volunteers to ensure food and meals are provided for 120,000 people every year. 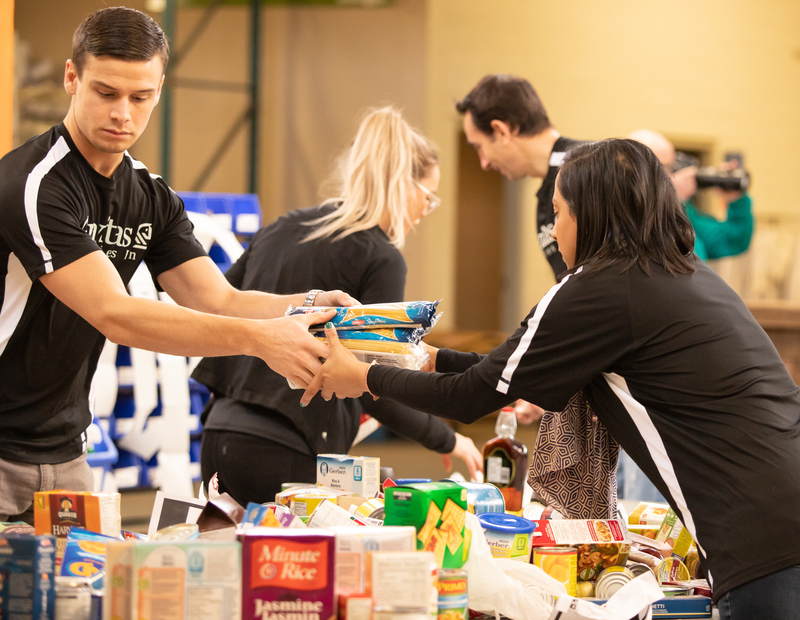 Assist on the front-line with the daily operation of the on-site food bank. Stocking shelves, portioning food, helping with check-out are the most common tasks. Are you a community group or non-profit organization? Please reach out to volunteer@dailybread.ca. How do I book a volunteer shift? Why do we need to make a donation in addition to giving our time? What if my company doesn’t have budget for the donation? Interested in organizing a customized teambuilding day? What if I want to bring a group of 30-100 volunteers? In order to review the calendar and book your volunteer shift please create an account in VolunteerHub. Morning Shifts are 9:30am-12:00pm and afternoon shifts are 1:00pm-3:30pm. Please arrive 15 minutes before your shift to sign-in. Closed-toe shoes must be worn in the Daily Bread warehouse at all times (running shoes are perfect)! Also, you will be volunteering in a warehouse which can be a tad dusty so please dress accordingly. If you select a kitchen shift, you are required to wear long pants. Although volunteer support is crucial for our operations, financial contributions are essential for ensuring we are able to purchase high-priority food items like eggs, produce and dairy. Funding is also needed to ensure that Daily Bread can deliver dignified and innovative food programs and services. 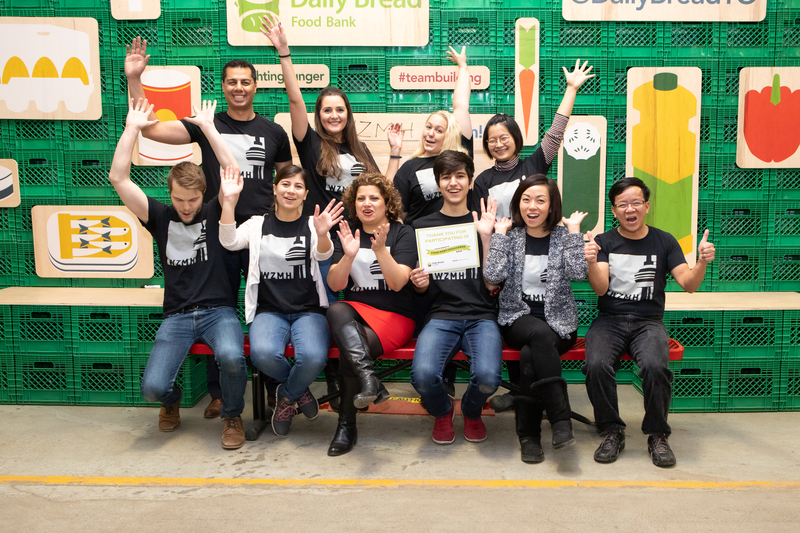 Your financial support helps ensure the continued success of food distribution, connect people with resources and supports other vital initiatives that make Daily Bread’s work sustainable and transformative for our city. We encourage you to cover the cost by raising funds in the workplace leading up to your day. Upon registering your shift, you will be automatically set up with a donation page. You can customize it with a photo and personalized message and send it out to your team members to donate and help fundraise through their networks. We encourage you to make the fundraising a great experience with weekly challenges and competitions! Team building days at Daily Bread offer you the opportunity to customize the volunteer experience to best suit your employee group. Based on your team’s size, interests and availability, you may be sorting food, preparing meals, working directly with food bank clients or take part in a friendly competition packing boxes that will be delivered to food programs across the city. Email Patricia pfeehely@dailybread.ca or call 416.203.0050 ext. 225 to discuss a teambuilding opportunity where your employees will have a meaningful experience and measurable impact on the community. Why Volunteer at Daily Bread? Strengthens connections with colleagues – Working together for a common (non-work related!) goal. This is especially valuable when individuals who may not work together have an opportunity to do so. 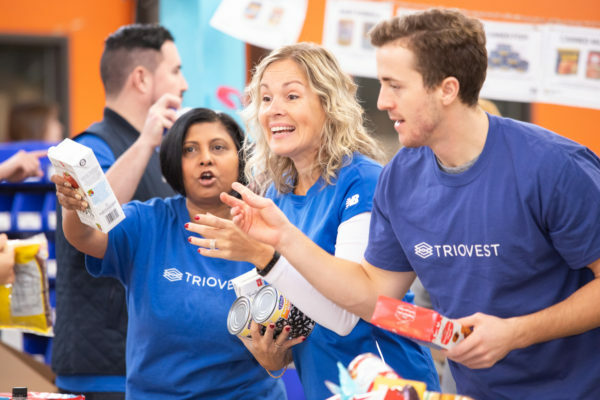 Educates and informs – Your group will learn about the issue of hunger in our city, who is served by Daily Bread and its agencies and how we do what we do and the impact you are having. The connection that your employees will make with our cause and organization will last long after their time with us that day. Amplifies your support – We know your company likely has marketing goals for its charitable support and we want to help deliver on them! We will work with you to develop a marketing plan to share the story of your impact. Delivers impact (and memories!) – Outcomes are important and knowing what your time investment accomplishes is critical to feeling it was worthwhile. 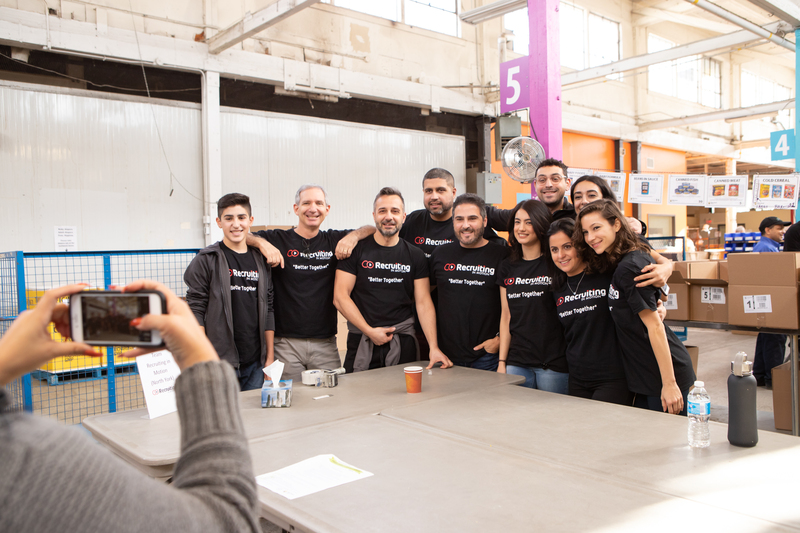 In addition to doing something great during your employee volunteer day, we will provide a custom impact report about what your group’s work achieved. Guarantees Fun – Pump the music, get into the flow… we’ve heard time and time again that our group volunteer experiences are a great time.